We are creating the first open platform for large-scale walk-through VR experiences. Our first experience premiered at the Pacific Science Center in Seattle, still open today. Since opening, we've had over 5k guests through. We build the software to develop and operate,care establishing the venue distribution channel, and setting the bar by creating the most immersive adventures on the market. Building upon our success at our first location, we're ready to scale with more venues and experiences. 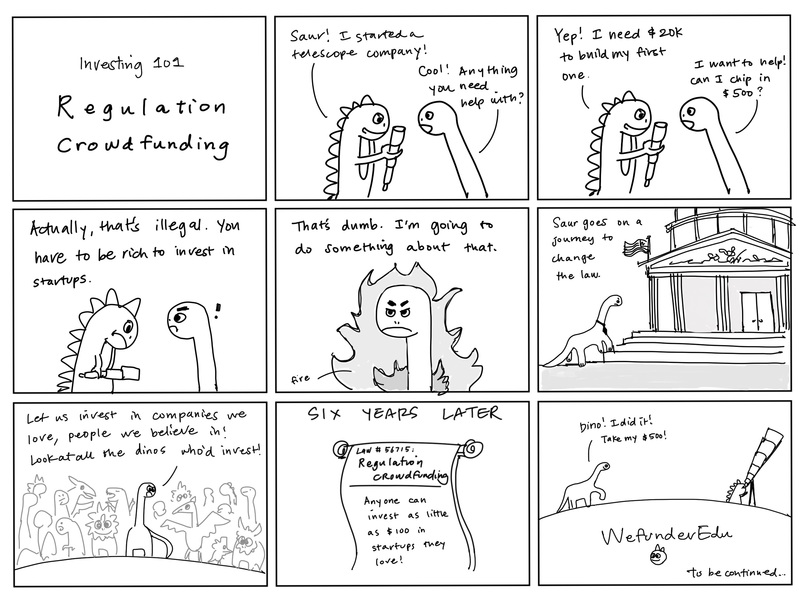 First $200K will invest in a SAFE with a $4M valuation cap. A SAFE gives you the right to future shares in the company. If you invest, you're betting the company will be worth more than $4M in the future. Your name uniquely incorporated into a Hyperspace experience. This can be, but not limited to, a shop name, inspiration for flora or fauna, or the title of a book • Name in credits of Wonderfall • Backlot tour with the Hyperspace Team • and • Lifetime free tickets for you and one guest at any Hyperspace venue as allowable by individual contracts with venues. Be permanently honored in a Hyperspace experience. Have a future character modeled after your face. • Name in credits of Wonderfall • Backlot tour with the Hyperspace Team • and • Lifetime free tickets for you and one guest at any Hyperspace venue as allowable by individual contracts with venues. Building worlds in thematic entertainment to create beautiful moments and experiences. 18-year history leading large-scale programs to drive organizational productivity and performance. Experienced Animator in the games industry. Skilled in Conceptual Art, Storyboarding, & Animation. Master sculptor with over 15 years in the video game industry. 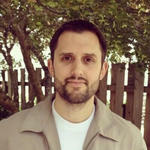 13 years of industry experience and over 20 credited titles in mobile and console games. XR Developer who designs and builds systems to integrate real/virtual worlds and immerse players. Highly talented engineer developing the state-of-the-art technologies for LBE. Expertise in front-end technologies enjoying a fresh perspective when developing new technologies. Composer & sound designer for film & games immersing audiences in beautiful aural experiences. Master craftsman building sets and effects for new immersive worlds. 18 years of experience as a video game Producer. Responsible for bringing 35+ games to market. Digital media, music, and bringing products to life. Breathtaking aural compositions. Created video games for Atari in early 80s, Joined Microsoft in 1986, Early developer of Xbox. Peter Severud, Angel Muniz, & Alex Rugen, Environments-Sharon Plotkin, Characters-Jenna Permut, S.E. Hyperspace XR provides amazing and inspiring experiences that will undoubtedly be a part of every city's entertainment scene in the not-so-distant future. I've had the privilege of watching the progress of the team up close and personal over the past year. I've toured the setup and experienced Wonderfall multiple times with friends, and I've been impressed with the progress the team has made with relatively few resources. This is an investable company. Knowing the team is composed of some of the hardest working people on the planet, and understanding how Hyperspace XR can expand in the future beyond entertainment, I'm honored to have the privilege of investing. Investor in Hyperspace XR. Managing Director at Prota Ventures. Hyperspace is at the edge of a new form of entertainment. I appreciate their enthusiasm and passion for what they are creating as well as their willingness to do it in front of an audience. Our guests love having a front row seat to the process of what is means to be a start-up. Hyperspace is rapidly advancing their goals, adapting new technologies for a brand new type of entertainment and Pacific Science Center guests were there first. Their success is important to all of us, guests and staff alike. We’ve watched them build this experience and we are excited to see it take off! The team at HyperspaceXR is pushing the boundaries of what is possible to enable next generation experiences. I am humbled to partner with them to bring their vision to reality. If you want to see the future of entertainment, education, and gaming fused together, visit their exhibit at the Pacific Science Center and experience the future now. Gosh, you guys. You're going to freak out. It is like the coolest thing I've ever seen. Believer in the power of technology to create opportunity. Longtime investor in numerous startups. Venues of all kinds are searching for exciting entertainment options for guests entering their doors. 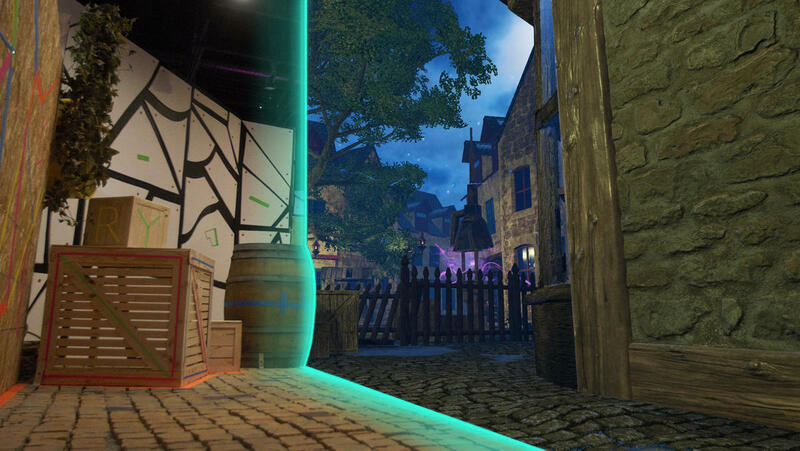 Hyperspace XR has created a new option: large-scale walk-through VR experiences, and the platform to power them. From science centers to cruise ships or movie theaters to amusement parks, venues all over the world are taking notice to this new medium in out-of-home entertainment; looking to entertain hundreds of guests every hour. Virtual Reality (VR) - A virtual display viewed through a headset or head mounted display. Traditionally used in smaller spaces. VR allows only a view of the virtual world. Extended Reality (XR) - Taking immersion to the next level by adding the most important piece; deeply physical interactions aligned 1-to-1 with the virtual world. 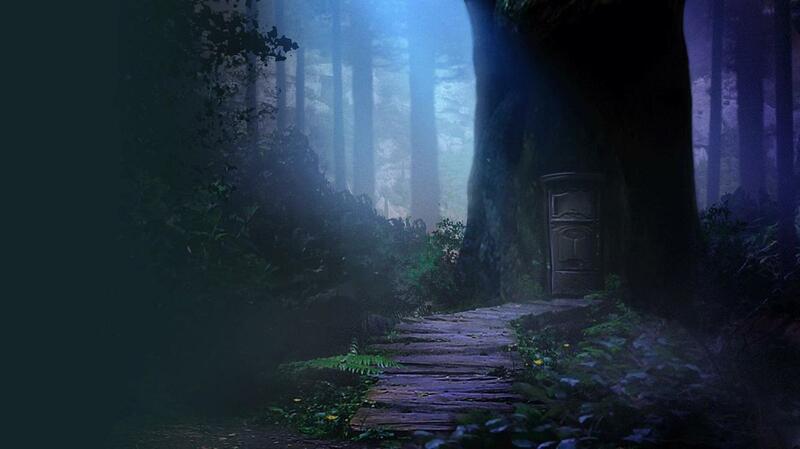 Travelers reach out and feel with all of their senses, opening adventures to new physical worlds. 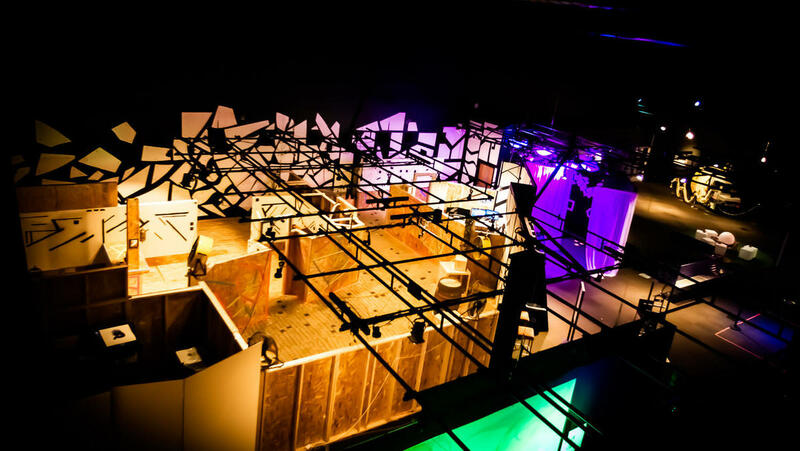 See how we turn our deeply tactile physical set into a fantastical story. Guests don a backpack computer and a fully virtual headset. Instead of bulky controllers, guests see their hands in world allowing them to reach out and interact with the 3,000 square foot environment. Guests enter in groups for a social experience. We control the environment in-world, from gusts of wind to fireplaces and rumble effects, your body experiences exactly what you're seeing. Hyperspace has three areas of business. When put together, these elements create a new eco-system for large scale out-of-home VR. Platform - Creating standards, software libraries, and systems of development and operation for these large scale experiences. Studio - Setting the bar with new internal content at the highest level of quality. 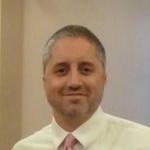 Distribution Channel - Establishing agreements with venues across the US and World. To date, we've funded Hyperspace with less than $165k. I self-funded at $25,000 and raised an additional $140,000 through a small friends and family round. These funds were used to research our direction, assemble our team, build out the Pacific Science Center operations, purchase backpack computers and gear, construct the physical set and most importantly get to revenue. We want to use the funds raised through Wefunder to accomplish our next set of objectives. • $50,000 - Complete MVP 30 minute experience of Wonderfall. • $250,000 - Completes polished 30 minute experience and Grand Open of Wonderfall. • $500,000 - Above and one additional venue. • $1,070,000 - Above and three total venues. Reaching the $250,000+ mark allows us to make even more substantial progress on delivering our full platform to our pilot developers and subsequently the world. We already have our infrastructure built with the team, technology, and perfect first location in the Pacific Science Center to launch from. We're currently very hands-on with the development of our experiences. That's intentional: we're figuring out exactly what venues, VR developers, vendors, and end-users (or Travelers) want and need. All this will lead to the Hyperspace platform, a comprehensive framework so that any venue can set up a Hyperspace experience -- a plug-and-play solution. 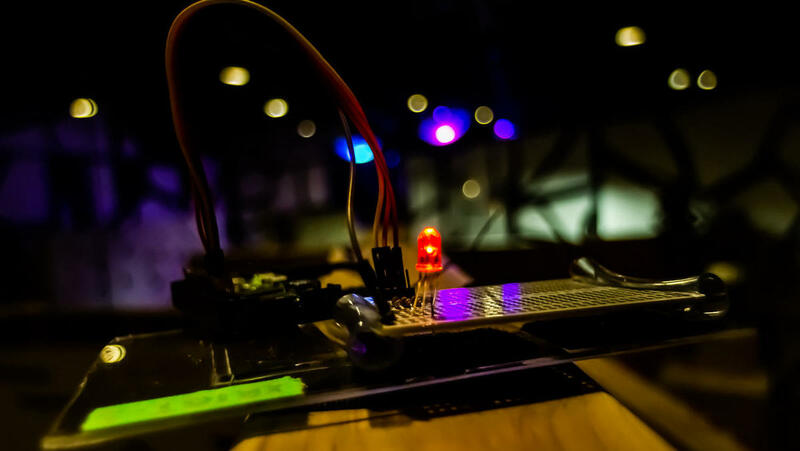 Our platform will include, but isn't limited to, an interface for venues to manage live operations, tools for developers to ensure deployment ease, and a versatile physical kit of parts that acts as the physical environment. Out-of-home virtual + physical experiences is the future of not only VR and entertainment but a vast array of industries like education, simulation, and training. Home systems are costly and immersion is low. On the other hand, venues are actively seeking profitable ways to use VR and their guests are asking for these immersive experiences. Right now, the definition of immersion is refined to a twelve foot by twelve-foot space. This can accommodate one person every five to ten minutes. These are generally short experiences with low immersion, resulting in less overall user joy and venue profitability. 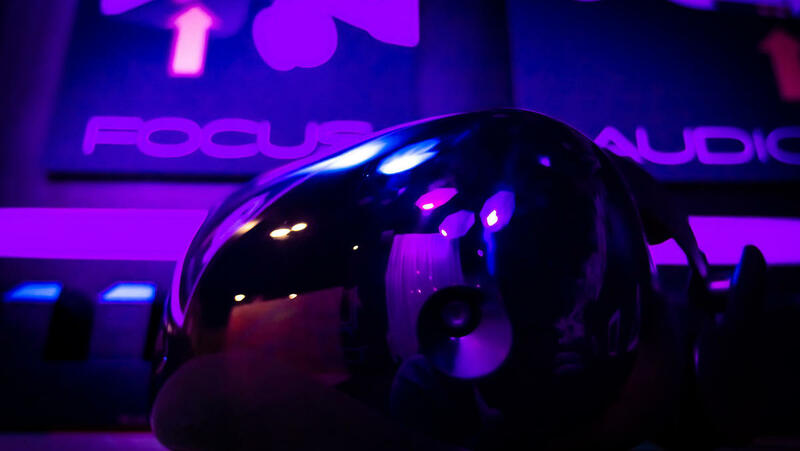 We offer a seamless SDK for developers to create this innovative content and venues a streamlined process for selecting and installing these experiences, By positioning ourselves directly in the center of this early and growing market, we are preparing ourselves to becoming the leader in out-of-home immersive entertainment. Take a step behind the magic to see how our world builders create. Cost to develop one 30 minute experience. Varies greatly depending on many factors; length, size, visual style, etc. Our goal is to make Hyperspace available globally, opening portals to new realities in towns of all sizes allowing access to this complex medium. We aim to be the elite provider for location-based immersive experiences by offering the platform for the highest level of immersion in the market, bringing magical moments of delight and imagination worldwide. We are the builders of large-scale free roam untethered virtual reality (VR) experiences and the platform that powers them. Players (travelers) can experience the world in groups together, immersing themselves in VR for the length of a TV show. Playable space is currently at 2,000-4,000 square feet but can be expanded over time. Travelers will be encouraged to immerse themselves in environmental effects like heat, cold, wind, smell, touch, rumble, and more. All while taking an adventure as a living part of the story. In the future we look to build massive warehouse spaces with new experiences at every turn - so you, the traveler, can get lost for hours. At Hyperspace XR we align virtual and physical worlds carefully, so travelers can reach out and touch them in real time. 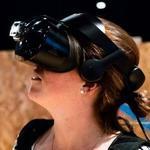 Out-of-home location-based entertainment (LBE) is the future and pivotal to the growth of VR adoption. Why? The cost barrier for in-home is a huge bottleneck for users and developers alike. But VR technology also has immense value for out-of-home use. Venues are actively looking for ways to use VR. People are actively asking for out-of-home VR. LBE in VR encourages growth in venues, developers, and user adoption of out-of-home VR. Which, consequently, will encourage the growth of all VR. Right now, the definition of immersion is refined to a twelve foot by twelve-foot space. They can accommodate one person every five to ten minutes or remain constrained by the hardware capabilities of free-roam devices. These are generally short experiences with low immersion, resulting in less overall user joy. Hyperspace XR is creating large scale virtual reality, we call it extended reality (XR). They are layered immersive experiences with long duration. It is meant to inspire travelers to continue to expand their interest in exploration and come back for more. For venues, these experiences provide a draw for visitors and provide high traveler throughput levels. While we currently are launched at a science center, the product and platform are relevant to many types of facilities. Some examples are: museums, aquariums, family entertainment centers, movie theaters, arcades, galleries, and more. It is a massive growing market for LBE, particularly within the level of immersion that Hyperspace XR is building. How many experiences have you done so far? Where are you currently operating? 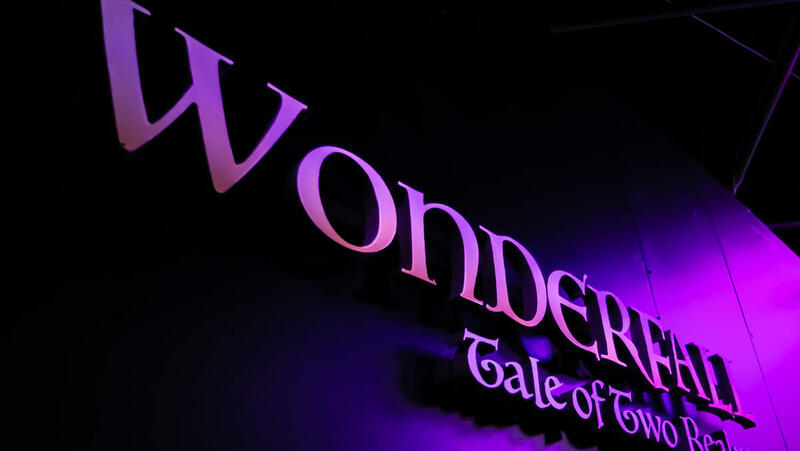 Wonderfall: Tale of Two Realms Scene 1 is currently operating as a 15-minute walk-through VR experience. 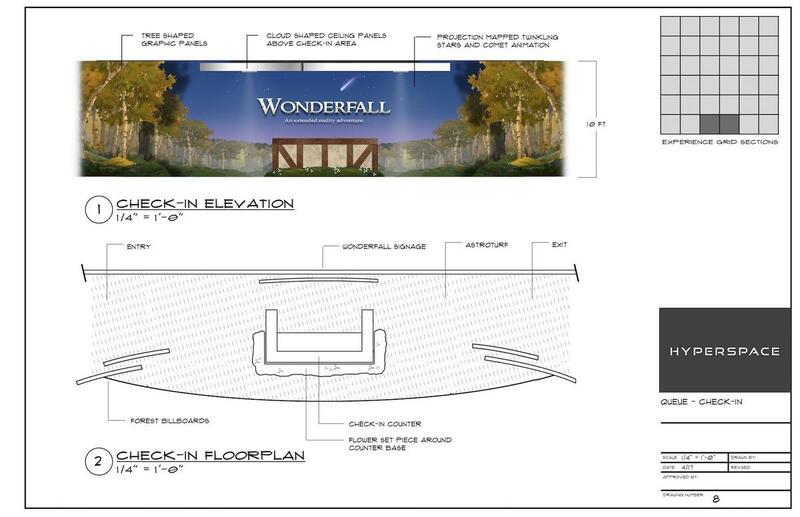 The team is now focused on creating Scene 2 for the Wonderfall experience. 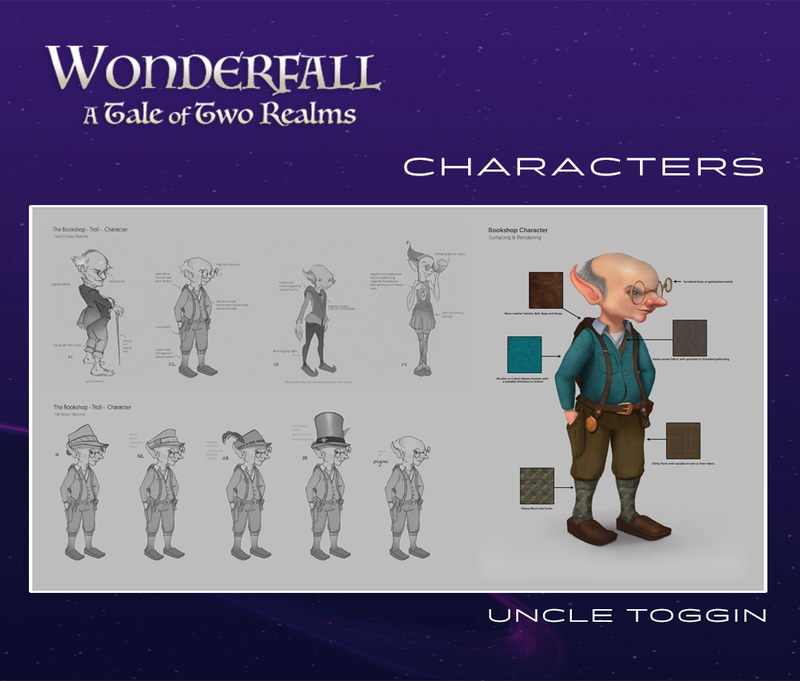 Once complete, the total experience time for Wonderfall will be 30 minutes in length. The experience has a footprint of 3,000 square feet at the Pacific Science Center. It is located alongside our operations and development office. Hyperspace XR is the first Startup in Residence launched onsite at the Pacific Science Center, as of August of 2017. At virtually no cost to us, the Pacific Science Center has provided the team with 3,000 square feet to use for the experience, ops, and development. In exchange, we openly engage with the public about the technology and workflow process behind the creation of what we are building. Many of the visitors who go through the experience specified they are renewing their Pacific Science Center memberships because of Hyperspace XR! Since we are building a platform centered product, other development teams can use and gain great benefit from the upcoming platform. We will launch the platform alongside a small hand-curated set of pilot developers. Our first pilot developer is currently working on a new project slated for a beta release in the coming year. What is this VR experience like? 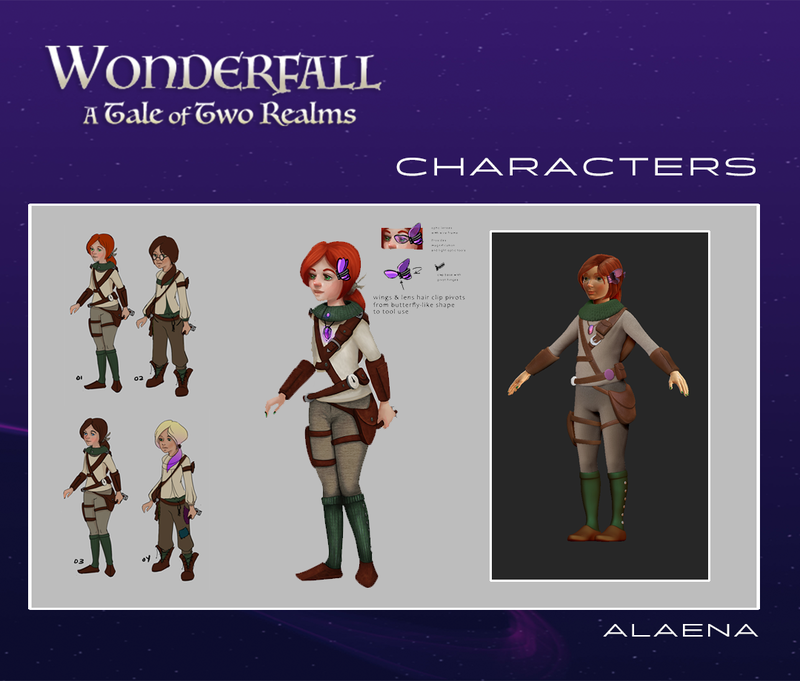 An immersive, magical, fantasy adventure awaits you in Wonderfall: Tale of Two Realms. Travelers walk up to the entrance and get an immediate sense of being a part of the world. 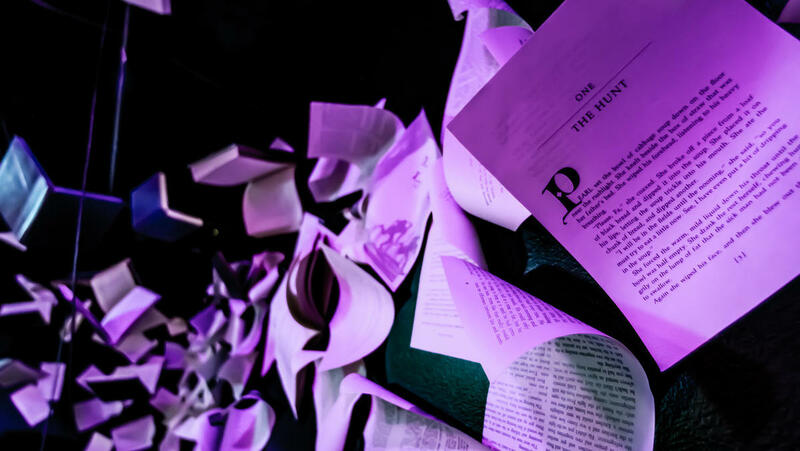 A flock of books take flight overhead as guests suit up, leading you into to a world of imagination. Backpack computers suspend from the expanse above, allowing travelers an ease of transition into the experience. Our team briefs each traveler for their upcoming adventure, then travelers are off to traverse a new world. As they take their first steps, travelers venture together into a magical old-world village. Cobblestone shifts beneath their feet. A cat greets them to say hello. Seconds later, travelers are startled by an event happening within the village. They are led around the corner and step into the village square to meet a young inventor immersed in concentration. Sights and sounds overwhelm travelers with a sense of magical immersion and delight. Over the next few moments, travelers explore a new world. They learn to use magic with hand motions, meet characters, and learn about the situation they find themselves in. Travelers are encouraged to reach out and touch objects, engaging in interactive moments of joy and surprise. Over the full 30-minute experience travelers will move among the realms to help our young hero inventor. As a traveler, you can help protect the village, while growing in knowledge and discovery of the Wonderfall world and surrounding technologies along the way. Travelers are provided only with items they need - their backpack PC and VR headset. They play controller-free, with the ability to touch everything in real-time with their own hands. Sensors and cameras on the headset and hands allow the traveler to track the environment placing them specifically in the correct place in-world. Travelers can reach out and high-five friends, gesture clues to their friends of things to do within the experience, look around, and enjoy the moments in the story. There are no external sensors or cameras in the environment itself to track them, everything is done directly from the player. There are also environmental effects (XR effects) in the scene such as heat, wind, rumble, whirlwinds, etc. 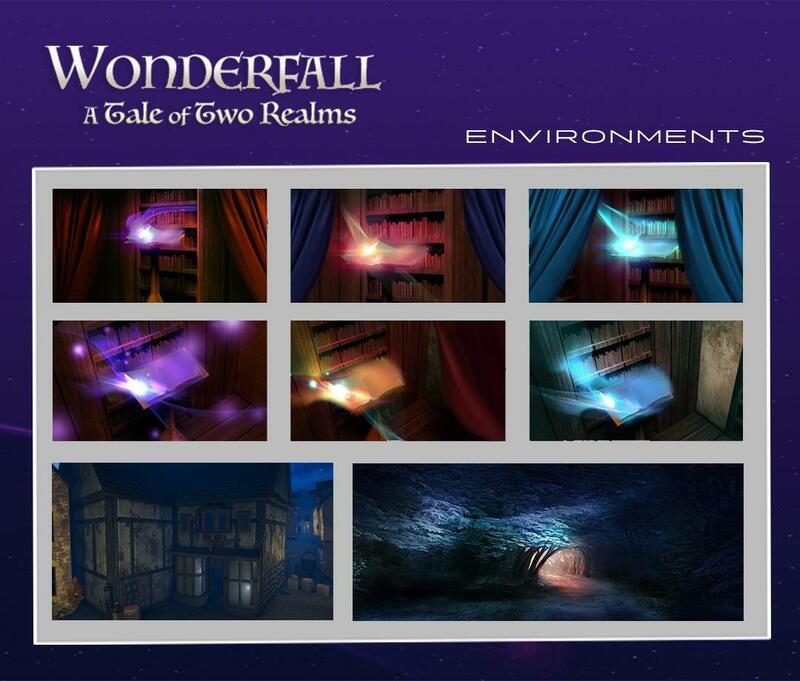 Wonderfall also includes rumble floor effects, scents in-world such as for magic, cranks, knobs, and more. All these XR effects will also be of benefit to future developers, so they can bring the physical world further into their experience. This type of Location Based entertainment is so exciting, in that you can experience an entirely new world in warehouse sized scale! The possibilities of creation are also endless in that the technology can be applied and created to multiple storylines and gameplay times – allowing high levels of replay and deeply layered immersion within. I had the idea around 10 years ago. Technology has made huge leaps since then, but I continue to love the thought of using a small space and make it feel massive. With this type of experience build out, you can create the impression of visiting anywhere - but only require a space with 10-foot ceilings and a physical set to do it. I've always enjoyed rides and attractions immensely. I spent a lot of time as a kid in Disney World. My interest wasn’t in the front-end of entertainment design, but instead learning how they built rides internally. How do they create the effects? What process do they use to create stories? I’ve focused my lifetime on the discovery and creation of themed experiences. I hold a bachelor’s degree in Interior Design and Architecture with an Entertainment Focus and years of post-secondary education relating to attraction best practices. I continuously pursue the expansion of knowledge through continuing education, research, and hands-on-development. Throughout my career, I have searched for ways to be more involved with this process. My career began in retail and entertainment, designing retail spaces that convey a story without words – and that make an impression the second the customer walks in the door. Physical spaces and the impact they can have on others is a continual source of inspiration and excitement to me. Before building attractions, it is important to understand how to effectively operate a business. Over the last decade I've operated three businesses, including two self-built technology companies. The idea of attractions, environments, and technology coalescing as Hyperspace is the culmination of my life expertise. Technology started to make this idea possible in 2015. As of January 1, 2016, I determined it was time to put a team together. We now have a team that has been hand-curated, and includes the top innovators in-world building, entertainment, robotics, game design, story development, music, composition, computer vision and more. It takes a very diverse group to execute this kind of vision to such a level of depth. 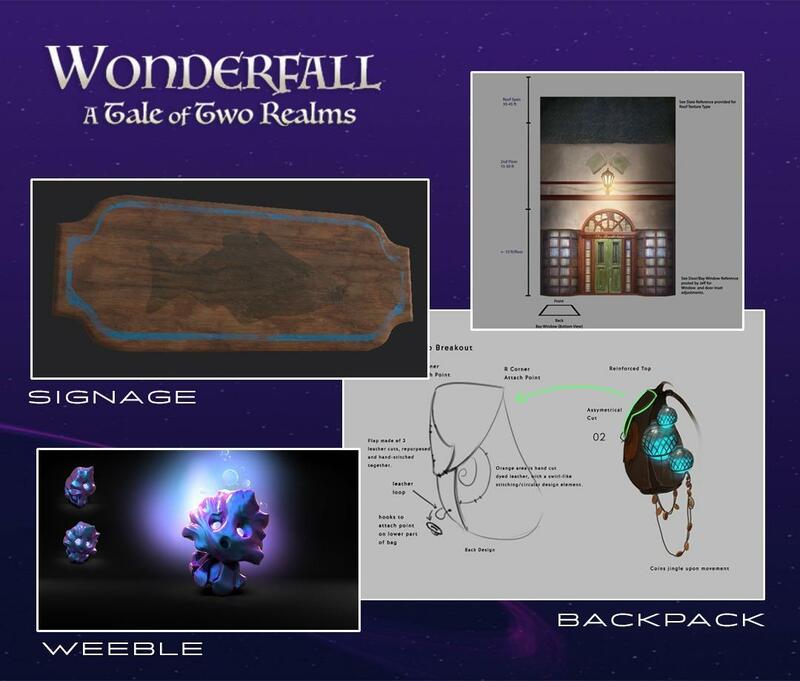 I’m lucky to say we have assembled the best team on the planet for this company, and consequently for Wonderfall. Walk me through your achievements since that first step in 2016. I spent the first part of 2016 researching and attending conferences, events, exhibits within this new industry. Everything was so fresh and new. Controllers and headsets were an array of wires, boards, and sensors. Experiences were few and far between. Throughout that time fantastic connections were formed that are continuing to flourish today. I took the initial research and used it to form a firm grounding and direction for the company. I spent a good part of 2016 hand selecting our team. In 2017 we began to flesh out story ideas, tech strategy, and seeking out the perfect first location for launch. 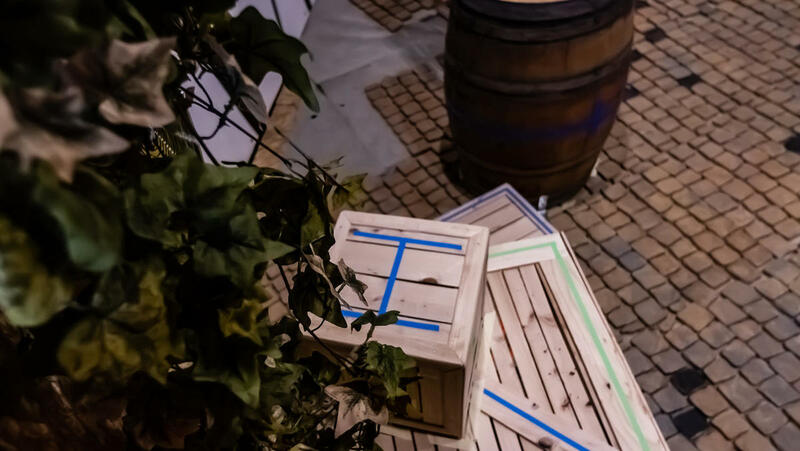 The ideal partner focus was a marquee venue, rather than build-our-own warehouse location. That allows for built-in traffic for the experience and lowers our overhead tremendously. I approached the Pacific Science Center in June. In August of 2017, we signed a deal to be their first Startup in Residence. Initially we were in a 200 square foot space where we developed the product in front of guests. It’s still exciting to think of the eyes lighting up as we explained what’s possible to build for VR. Thousands of kids and adults of all ages have been inspired about creativity and new career opportunities. We built our core team around computer vision and were working on algorithms for inside-out tracking within the environment. We worked with state-of-the-art depth and motion sensors to build a robust warehouse scale tracking solution. Our first VR-ready backpack PC was built before backpack PCs were even available. A cardboard soda carton was the initial housing for the protective shell. We had a small team, but successfully achieved our V1 tracking. In 2018 the opportunity to work directly with a world-class organization arrived. We caught word Microsoft was wanting to transition their living room scale inside-out tracking to warehouse scale. In March we partnered with Microsoft to bring inside-out tracking to the masses. It is wonderful to partner with their excellent team. Their development teams come onsite to the Pacific Science Center, and continually work on features needed for the future of location-based entertainment. Early 2018 we started building in the 3,000 square foot space at the Pacific Science Center. 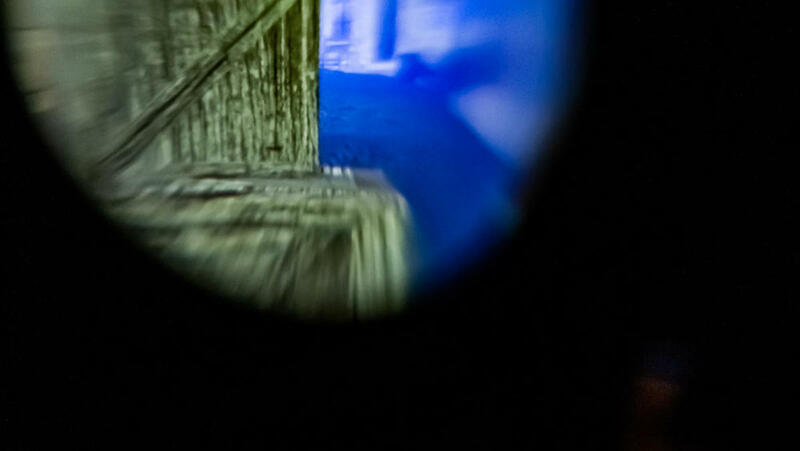 Hyperspace XR focused on crafting and layering of the physical environment with the virtual world. Fast forward to early 2019 and we have constructed a highly immersive ~1,500 square foot experience that lets you actively be a part of larger-than-life new worlds. Our team works tirelessly to bring this vision to fruition. We began selling early access tickets as of 11/9/18 for our soft launch. We opened at nights throughout November to work out kinks and streamline operations. Daytime sales opened on 12/1. Since then we hired a traveler services team. We have a steady increase in sales hitting over 65 tickets per day by the end of December 2018. With current early throughput restrictions we average 20-45 per day looking to handle 40+ per hour over the coming months. All this with no external paid marketing promotion from Hyperspace. We are seeing continued growth over the early stages, including clear word of mouth referrals by previous customers. Early access tickets are on sale now for Wonderfall: Tale of Two Realms Scene 1 and are available currently at $15 for 15 minutes. To date, reactions have been fantastic! 96% of surveyors give 4+/5 stars for satisfaction, 86% give 4+ that they would tell a friend, and 83% say they will bring a friend back! People even purchase two sets of tickets for their families, just so they can experience it immediately all over again together! How have you funded your growth until now? What do you want to do with money raised on Wefunder? Funding to date has been bootstrapped. It started self-funded at $25,000. This allowed us to fund initial research and development, team selection, technology prototyping and secure a contract for our first location. It is incredibly important to us to accurately define and test next steps before raising new funding. In 2018 we had a small friends and family round, resulting in an additional raise of approximately $140,000. These funds were used to build out the Pacific Science Center operations, purchase backpack computers and gear, construct the physical set and get to revenue. We want to use the funds raised in Wefunder to accomplish our next set of objectives. We set our minimum raise at $50,000. As a company, we have been very cash efficient and have shown we can do a lot with that amount. If we can meet our preferred raise of $300,000, however, we will fully complete our 30-minute experience at Pacific Science Center with a grand opening later this year. This will allow us to use our full 3,000 square foot space to develop Scene 2. This piece is already under development and is being built-out now. Ideally, reaching our maximum raise amount will allow us to accelerate production and accomplish our objectives more promptly. We will install at two additional locations and are currently in discussion with multiple interested parties. We look forward to having letter(s) of intent/contract(s) soon. At the same time, we also have other projects under discussion and development, as well as bringing on our first selected pilot developers for the platform. At Hyperspace XR, we are diligent with the resources we are provided. We’ve focused our vision to allow continued development of an incredible business. We already have our infrastructure built with the team, technology, and perfect first location in the Pacific Science Center to launch from. Where on the spectrum of VR product development do you think the industry is, where do you think you are, and what is still left to be figured out? VR has been in development for years. Since the 1990’s we’ve gotten the tease of, "VR is here." At the end of the day, though, everyone was left disappointed. When VR emerged again in 2015 it came with force but found little market adoption. We saw, and are seeing, that there have been bumps along the road. There are hurdles to home VR adoption that must be overcome. Cost, technical, content availability, etc. have hindered its capacity for in-home VR. Out-of-home VR does not have this same issue. For companies such as Hyperspace XR, the market is already there. For example, VR Arcades. They are usually in a mall, with 8-10 booths available. It only includes one person in the experience, and simply is not the answer for group entertainment. Revenue of VR arcades are low, and satisfaction isn’t far behind. Sitting and watching a friend play VR is not my idea of a fun Friday night. 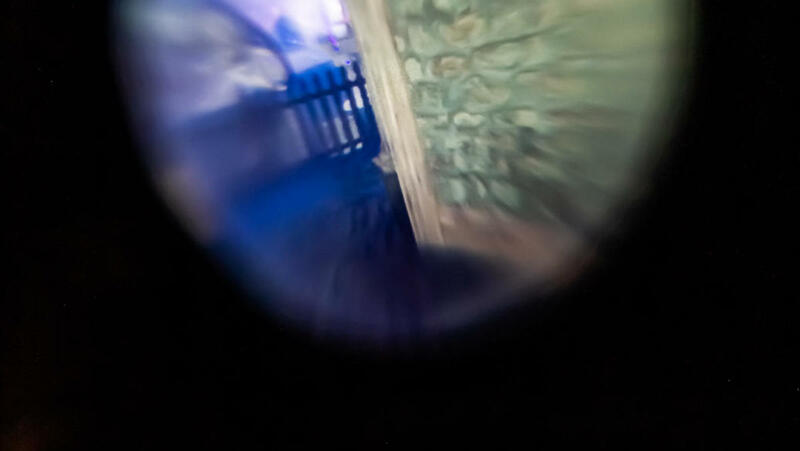 Being able to step into a new physical world is the renaissance of VR. Location-based-entertainment (LBE) is seeing a wave of growth since 2016. People are already going onsite to locations to spend their money, so why wouldn’t they want to try VR? It is a key core audience, captivated by the ability to interact in physical worlds. LBE is a stronghold; and we are the forerunners of educating the public on a new form of media. Physical meets Virtual. The future of LBE entertainment is massive. People are looking to VR for what they want most, suspension of disbelief. Alternate realities. Deep immersion into new, extraordinary worlds. Magical experiences. Varying models will continue to surface. From team-based player-vs-player tournaments to massive spaces you’ll never be able to fully explore. Museum exhibits to an ancient world. Cinematic adventures. This new wave of media will infiltrate entertainment. 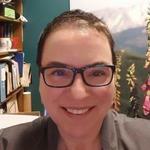 It will proliferate throughout education, simulation, training, and corporate identity. We’re at a new era in computing and human interaction, which will only expand as technology continues forward. We're proving this is something important, that people seek out and pay for. VR continues to be a game changer. But, extended reality (XR) provides the combination of physical and virtual interaction that people are looking for. Who else is interested in your technology outside of science centers? We have an incredible amount of diversified interest of venues and groups looking to work within our technology. We are finding we need to be very selective about our initial trajectory. As we grow the business and platform, we will in-turn be able to support a wider range of customers. That can include locations such as aquariums, cruise ships, museums, family entertainment centers, drama theatres, movie theaters, arcades, education, as well as training/simulation use such as fire and rescue. We’ve had large non-entertainment-based corporations’ approach us to make experiences to educate and immerse customers about their industry and associated products. Another example is a trampoline park that is looking for something different. They have space and looked at alternatives such as ropes courses and arcades. They comment that “everyone has that stuff! We want to stand out, and no one has what you are offering.” We're speaking with major aquariums about showing prehistoric marine life that no one has seen before in physical space. Additional talks include major cruise lines who are interested in immersive experiences, whether on ship or in port. Our experience at Pacific Science Center has turned into a wonderful way not only to engage with Pacific Science Center members and customers, but also act as a natural sales floor. Executives from companies, groups, and organizations have been on-site to experience firsthand the excitement of what we are building. Tell me more about the conversations you're having with potential venues and what they're skeptical about. Currently I’m talking to around 100 different locations with opportunities of different types and sizes. It ranges from science centers, to museums, cruise lines and more. This platform can be used in a wide range of venue types. We are first focusing on the untapped educational entertainment market. At the same time, other venue types are absolutely interested in what we're doing. The most consistent thing I’m hearing from venues is wanting experiences to be centered around their guests. They readily admit guests want VR, but the question is how to effectively integrate it with their business. Current options in the location-based market are lacking. They ask how to draw in new guests while speaking to their existing base, encouraging growth by word of mouth. Hyperspace XR reviews show the strength of this medium for that, with 86% of travelers gave 4+/5 that they would tell a friend, and 83% said they would bring a friend back. When asking our travelers if their experience made them more interested in the science center, 91% said they are more interested with 47% saying it made them much more interested and 44% saying they are more interested than before. This is the type of platform venues look for! 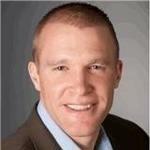 Venues are also interested in return on investment (ROI). They question if guests will pay for this type of experience as well as how long it will take to recoup out of pocket expenses. Depending on throughput of the location, ROI happens quickly. We are still proving out our throughput models, but initial metrics show venues can pay off the tech costs in months. Our sales in December show a fill of time slots by early afternoon, with many waiting or needing to come back another day. As our throughput increases, we can handle more travelers. Venue attendance ranges, but the venues we are talking to - and working with - range from 750k to over 3 mm visitors per year. To date, we have had over 5,000 people through our experience. It is wonderful to always see travelers exit with stunned expressions and joy. It’s that idea of “Wow, I cannot believe this is something that we can do now.” or “The future is here!” Hyperspace XR travelers often return with friends to usher them into a new world. As we grow further, we will continue to prove out and provide increasingly specific metrics. That said, testimonials of travelers and the joy in their faces absolutely shows the viability of what we are creating. Price is always a topic for venues. They wonder if guests will pay their hard-earned dollars to step into a world like this. Absolutely, our travelers do. They may not want to pay $1,500+ for in-home VR, but they will buy a ticket for the most immersive form of VR there is. While we continue to refine pricing, two-thirds of current travelers believe our pricing is just right. One of our goals is to see that number rise as we build out the added scene for the experience. Ticket prices will vary depending on region, but this industry and market is no different than any other out-of-home entertainment. It’s naturalistic to go out with friends and family to do new activities and actively participate in unique experiences. There is a ton of excitement from venues about this. The vice president of exhibits for a major US aquarium stated that the zoo, aquarium, and museum industries specifically are watching VR very closely. They want it, they know their guests want it, but no one knows what to do with it. They have not yet figured out how to effectively integrate it into their organization and properly monetize it, if that’s their goal. They recognize the need of knowing how to get a high number of guests through, how to operate the headsets, how to clean them, and best practice in creating the content/technology required for them. It's very confusing. It's very technical. Hyperspace XR provides the solution, content, and platform to make this possible. Why is your revenue per square foot so much larger than other kinds of experiences? Location choice is key for Hyperspace experiences. Our length is longer, and space is larger than other experience types. The only way to monetize small areas are with shorter experiences and short turnaround time for players entering/leaving the space. What we have developed is a system for long experiences that gets high throughput. Hyperspace XR is building our throughput now and we are currently matching industry standard metrics. We have started out at a lower throughput to ensure caliber of operations. Our aim is to host up to three times the throughput of our nearest competition. How does your technology help you have a higher throughput? Throughput is a combination of how travelers enter the experience and the technology you are using. I can speak to both. Our competition uses outside-in technology. Motion capture cameras are placed in a grid above the space and track nodes on players. This is the same technology studios use for motion capture in the games and film industry. For large scale location-based venues this technology is cost and revenue prohibitive. Cameras are expensive and need to be placed every six feet on a grid over the experience. The second downside to this is a limit of throughput. The cameras can only track a certain number of nodes at one time. We are seeing throughput numbers of about 24 travelers per hour. The alternative is inside-out technology which allows us to monetize more effectively. The travelers have cameras and sensors on them that track the environment. We are beginning to see inside-out tracking take over the VR market with headsets like the Google Daydream and Oculus Quest. Although both stem from similar technologies, large scale inside-out tracking comes with it’s own set of unique needs that home based inside-out tracking cannot supply. With this warehouse scale inside-out approach to tracking, costs are lowered to 30% in comparison to outside-in systems. There is also no limit to the number of players that can be in the space. Hyperspace XR groups go through the experience based on the manufacturing principle of takt time; the spacing between groups entering the experience. We can alter takt time to maximize throughput. The Hyperspace platform and game design rotates groups through the experience, dynamically operating to provide travelers with the most freedom to explore the expansive world created for them. There are two cameras on the front of the headset that we use to create a map of the space. When the traveler is in-world, the software references this map to locate them in the environment. This does two things - allows lower cost set-up for the venue and more groups through in a shorter amount of time. How can you increase the number of people you get through in an hour? The initial increase will be from maximizing our group size. We then narrow the space between how often groups enter the experience. This R&D process is currently underway, and we will continue to refine until we find the ideal balance between traveler experience and flow. Another method is using a larger open space to create more socially connected experiences. This allows for a larger number of travelers. Imagine a space where you allow thirty travelers at once instead of a smaller group. At that point, the only limiting factor is cost of the equipment; backpacks, headsets, and sensors - which pay for themselves quickly with that amount of throughput. You also can install multiple experiences instead of one individual experience. Much like how a movie theater shows many films in one building. If you install three or four 2,000-square-foot experiences, you accelerate the throughput accordingly for each new experience added. What's the cost and process of someone purchasing and putting this in? If I want to go from exploring Rome to exploring the pyramids, does that require physical change? Future modular systems will allow easier interchangeability for the experience. We want venues to be able to visit our portal and choose the experiences that work best for their interests and space. If they have 2,000 square feet available, they can then see what experiences work in that space. The goal is a modular building-block based system, allowing cost savings by using new experience pieces that will interlock with prior modular Hyperspace XR elements. Will the floor be completely flat? To start, we will have one ramp in the space that inclines approximately five inches over a span of five feet for ADA compliance. Eventually we will play more with slope and stairs in instances it will benefit the story and layout designs. 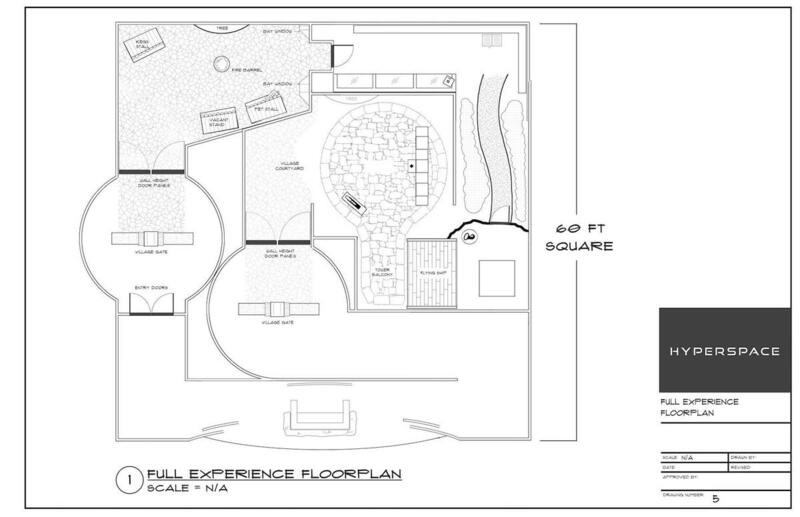 Do you build the 2,000 square feet in-house and get a larger margin on that? What's the margin on all the setup costs? Initially we are building everything in-house. We may keep this approach, but that depends on several factors. For example, we can set up a network of installers or decide to send our own team members based on project needs. The higher scale goal is assembling this network of installers to work with multiple developers and venues. Margins vary. For example, physical sets have higher margins. Hardware in contrast has lower margins. Our business model is based on higher margins through ticket sales. Hyperspace XR shares revenue with every venue that we open with. We are refining pricing strategy based on industry factors. Currently our approach is well received by our traveler community. We position ourselves as a venue partner to keep cost of goods sold (COGS) low once the experience is developed. At a good location in a popular science museum, how many heads are they getting in a day? 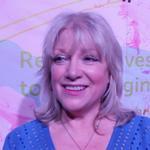 What are the possibilities at other venues? Attendance to science centers and other venues can vary. External factors come into play, such as weather, seasons such as summer when schools are out, time of day, etc. Attendance can range from hundreds of thousands to upwards of 3 million. Larger, more established venues in big cities can see 1-3 million visitors per year. Movie theaters average 750k visitors per year. Family entertainment centers average 350k. There are over 30,000 locations in the US alone who can benefit from the Hyperspace XR platform. These are movie theaters, cruise ships, malls, arcades, museums, entertainment centers, zoos, aquariums, theme parks, and more. Projecting a low average attendance of 300k there is upwards of 9 billion in total potential visitors to these locations annually. The potential for this massive new industry makes a ton of sense. Console gaming in 2018 was a ~$35 billion market and film industry was ~$40 billion. Our Hyperspace platforms combined with experiences allows us to create a fully immersive combination of these two. How does this actually become something that people do on a regular basis, like going to the movies? Replay is a common topic in the LBE industry. How do we create an experience that travelers want to come back to? We are building our worlds with that in mind. As we grow, we envision experiences that allow players to invest hours in their character and watch it grow over time. We see environments that you can immerse yourself in multiple times, without experiencing the same thing. Environments that change over time so new moments emerge. Building on the core belief that replay is linked to curiosity allows us to build worlds that entertain and delight travelers at every turn. There’s an existing market for out-of-home experiences. Especially today where the LBE market is now a piece of our daily lives. Travelers attend, have money in hand and are searching for delight. Through Hyperspace we are creating and providing the most immersive form of entertainment to date. People are already seeking out experiences like this to add as a persistent part of their entertainment repertoire. The viral nature of these concepts and growth in attendance comes down to wow factor. Look at entertainment options like bouncy houses or trampoline parks. They are great at housing all of everything in one location, but don't provide the feeling of wow in and immersion that this new type of experience does. The first movie ever played in a theater was a train pulling into a train station. People jumped out of their seats and left the theater because they thought a train was going to pull into the space they were sitting. Those moments of wow in those original mediums are what cemented them in our daily life. This is happening now with our industry, we see it daily in Hyperspace XR. When travelers emerge from the Wonderfall experience, their minds are blown. That's a massive indicator of the power of this platform and medium. What stops Disney or other companies from doing this? What kind of protections do you have? Nothing stops them, and it shouldn’t. We are building an entire industry right now and business only multiplies with its growth. There are other large entertainment companies that are currently dabbling in this. Education as to this LBE medium is helped exponentially by major players lending credibility to it. As this happens, selection of venues and opportunity grows as well. A wonderful byproduct of the increase in audience and opportunity is also that of collaboration – building the future together. We are on the bleeding edge of a market ripe for entrance. The total number of locations across the world doing something similar currently is less than one hundred. There is a large capability to partner with these locations, a major advantage for both the venue, developers, and platform long term. 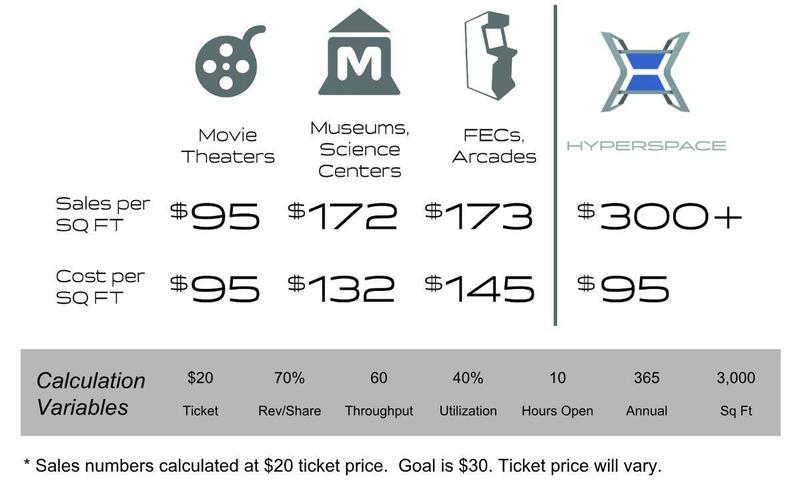 Each experience installed is a $4.5- $5 million revenue for Hyperspace, based on a five-year lifetime value at a 40% throughput and equal revenue share. Competition is viewed in two ways; indirect and direct. Indirect competition includes existing exhibits, movie theaters, and other entertainment experience types. Our platform stands strong with higher sales per square foot, at a lower cost to install. Direct competition is very early in the space, but there are a few relevant competitors. The Void is based in Utah. Zero Latency is from Australia. Dreamscape and Nomadic are in California with a focus on large-scale walk through adventures. Each has their own niche in the LBE industry. The Void is working on similar constructs with a focus on physical immersion. However, the Void is a very closed system. They are building their own theaters, where you can go and interact with an experience that changes throughout the year. Our interest in partnering with venues rather than building our own allows us to have fast implementation of new venues and experiences. Zero Latency is working on large-scale first-person shooters in an open warehouse with no physical interaction, shooting waves of zombies for around 20 minutes. Nomadic is a modular system, similar in nature to our platform. Their first location opened in Nov/Dec 2018. We are watching them closely as they emerge as our primary competitor. Comparatively, we have achieved opening our first location in a high traffic location, quickly getting to revenue efficiently with minimal funding. In addition, a large amount of LBE content is focused on shooters, with many finding their niche in zombie experiences. We are standalone in our attentiveness not only to layering immersion, but also our interest in creating diverse story-driven narratives such as the fantasy world of Wonderfall. We are creators who are building the platform for premium LBE based experiences. Our tools, team, and standards allow for high quality content creation. VR content can be hit-and-miss in terms of quality and minimum specs. This is clearly seen with early ports of games, which did not recognize the need for VR to stand as its own medium. In addition, in-home use has very clear limitations and immersion levels comparative to that of LBE. We are building the highest caliber physical and virtual interactions possible and will continue a commitment to push the medium into the future. Our team is made up seasoned technologists and creatives, allowing us to visualize of build incredible interactions. The platform and tools we are creating for LBE VR will give developers and venues the ability to provide amazing moments and experiences to travelers across the world. You’ve mentioned how Hyperspace XR is building a platform -- what does that mean to you and how will you get there? Free-roam VR experiences come with a distinct set of constraints and requirements beyond traditional VR. Until now, no comprehensive framework existed to enable and integrate development, deployment, and operation of large-scale extended reality experiences. The goal of the Hyperspace platform is to provide the most immersive experiences on the planet. To do that we are building an integrated solution for venues, component vendors, and developers to come together to deliver amazing experiences to travelers. The Hyperspace platform unites this ecosystem and prioritizes the traveler at every turn. Along with developing our own experiences, we are also curating select pilot developers to join us. As of January 2019 we are moving forward into contract with one development team and are close with others. We are also in discussion with numerous venues interested to come aboard as our first set of portals to these new worlds. The Hyperspace platform is made of many integrated components. Pieces of these components are to be built into our platform as we move forward, based on the following priority: Interface for venue management with a live operations dashboard and real-time reporting, including a marketplace to view and deploy experiences. Tools for Developers to ensure ease of development and seamless deployment at venues. Physical kit of parts that is the foundation of physical environments and effects. Environment and effects standards to allow physical components to be compatible with the Hyperspace system. Our experienced development team is building this platform by leveraging agile methods. We constantly gather information on the needs of the venues, developers, vendors, and most importantly the travelers. We rapidly develop and release new features, prioritizing based on needs. This allows developers of the ecosystem to get important needs met early and often. It also encourages rapid discovery and dissolution of flaws early on in platform use by developers, venues, vendors, and guests. Any additional funding received acts as a rocket fuel boost for this process, accelerating our delivery timeframe extensively. What kind of comparables do you have inside cruise ships or science museums? What do the best of the best earn? Theaters located inside of museums are a great comparative. 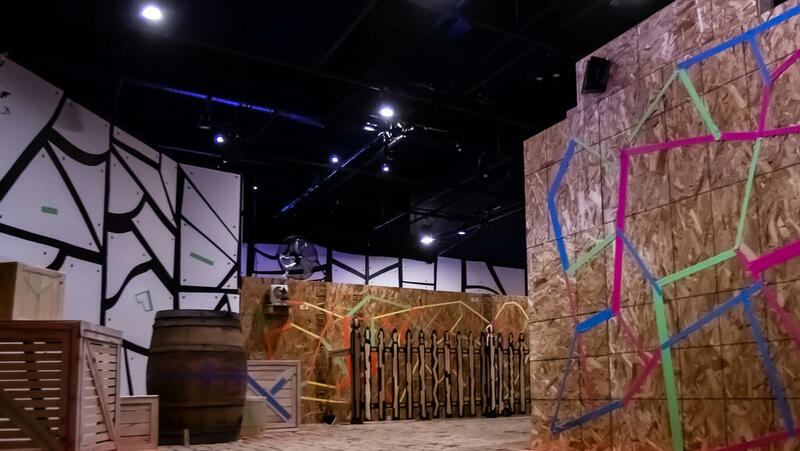 The theater companies created their product and then partnered with museums and science centers to add it to their locations. A popular model of these businesses and their venue partners is a joint revenue share model. The theater company receives varying percentages of gross revenue depending on the arrangement determined with the venue. Traveling exhibits provide another good example. Museums generally cycle in rotating experiences at an added ticket rate. A typical rotating experience revenue share can range from 25-75% of gross revenue. What are you nervous about? What hasn't been figured out? A potential investor gave me an incredible advisement on risk. He believes all startups should constantly be watching for five core risks. Product, market, finance, team, and execution. I incorporate this into the life of our business daily. At Hyperspace XR we continuously work to ensure our product is orders of magnitude above the competition. We use a flexible method to determine how to best convey this product to the venues and travelers. It is key to ensure the product is communicated clearly. Additionally, our goal is to ensure a compelling customer experience for all travelers. We also evaluate what the market is asking for. We define our customer further every day. If we don’t take the time to assess properly, we can miss the strategic opportunity of connecting with the right people. We are fortunate to have a location where a wide demographic can enjoy our work. As we grow, open new locations, and raise funding, it’s continually important for us to watch financial risk. We work to accurately forecast planning, so operations and development can grow at the pace we intend. We ask questions often, such as - how can we efficiently open new locations and support them accordingly? We must be attentive and choose the opportunities most attuned to our vision, instead of taking on everything that comes our way. I have a core belief that we will succeed if I hire team members far beyond my intellect in their respective areas. This business does and will continue to require a wide variety of team members to function at its highest potential. We are constantly watching for the right to further growth at the rate and quality we set as our standard. This is also inclusive of advisory board members. We value having a board with backgrounds in gaming, location-based entertainment, operations, etc. This team should be filled with the best, and a way to help in that is for them to be surrounded by advisors who are aligned in our vision interest of future achievements and breakthroughs. We have big plans and need to work effectively and efficiently. There are many details when putting something like this together. It is very important to retain focus and not to get stuck on non-essentials. When working on a new portion of a project, we aim to get to a minimum viable product (MVP) very quickly. There is much that we can build, but what is the minimum that we can make to support our strategy of iteration and testing. What is your team like? Hyperspace XR has 20 people actively on the team, alongside with other various contributors throughout the development process. There are five engineers working on the platform to build out mechanical systems and software. We have ten within our content development team. This team develops virtual worlds immersed with visual effects, animation, environment art, character design, sound, music, code, etc. We also have a Chief Financial Officer and physical world builders. 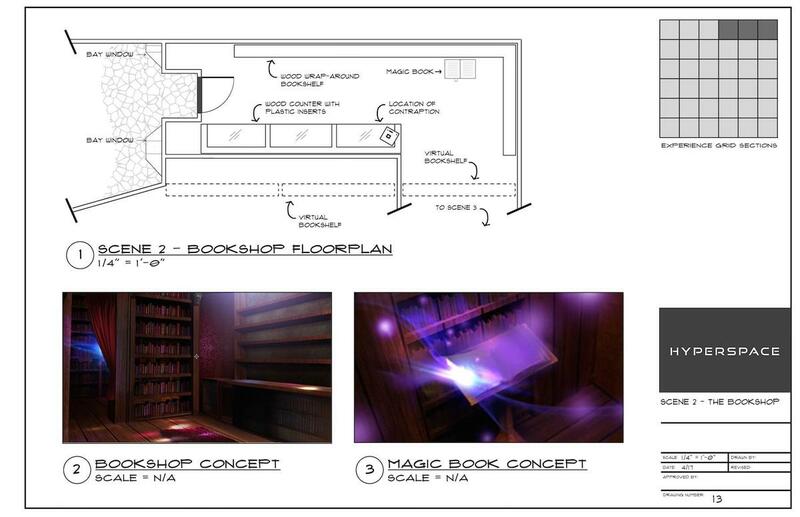 Our team works diligently to make this a reality. 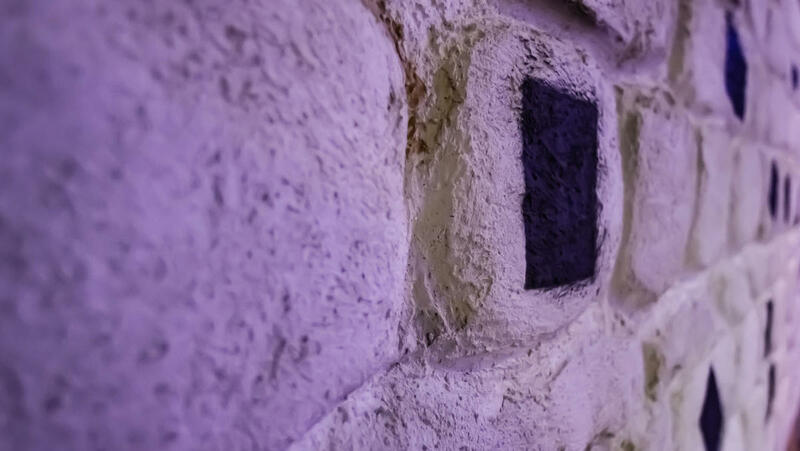 Their dedication is incredible and working in this space creates continual excitement in being able to build such richly layered, immersive environments for travelers to visit. Tell me about the biggest hurdle of the business to date and how you solved that. When building something new you run across hurdles in the process. I believe that all problems have solutions. At Hyperspace XR, we approach every problem from a creative solution standpoint. Often our resulting solutions end up being both beautiful and elegant in design. One of our biggest hurdles was when we launched in November. 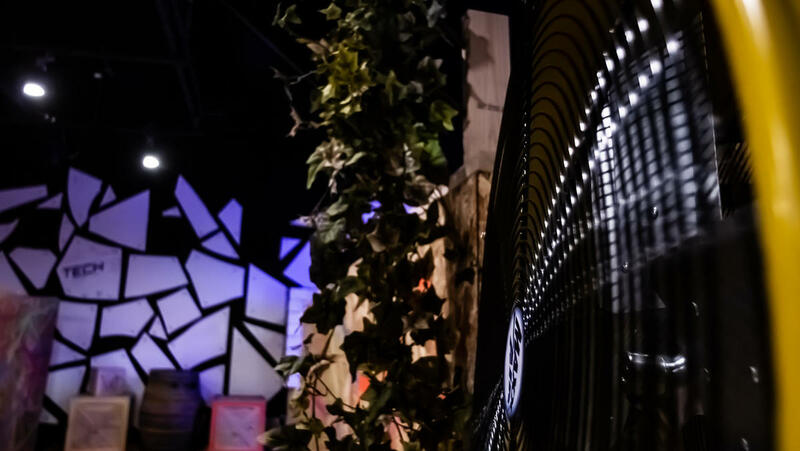 We went from a company that until then had been coding, building, and developing - to a company that now had to operate an attraction, and with that all the complexities that followed. Not only operate it, but also in some ways write the book on how to operate an LBE like this. Suit up needs to be fast and comfortable. Travelers need to fully understand what they are about to encounter. The amount of immersion must be balanced along with the need of throughput. Logistics of general operations with staffing, time off, new roles etc. is no small undertaking to effectively pull off. We are moving into a phase where we have begun to iron these out, and life is now much less hectic! Our team is resilient. We will always encounter hurdles but gladly develop a strategy to overcome. It's that lens of having no question that it will happen – believe it into fruition. Whatever route we must take to get there, our vision is becoming a reality. When you think about the ultimate goal of the company and visualize what it can be, what does that look like? The ultimate would be to have a Hyperspace portal in Everytown, USA. Creating locations where you can have memorable social experience moments. Jump into a Hyperspace experience alongside a friend who lives on the other side of the world. Places where you can experience an amazing adventure together. There are several business models we'd like to test over the coming years including the multiplex model, a team-based player-vs-player approach, and a large footprint warehouse supporting higher amounts of travelers. 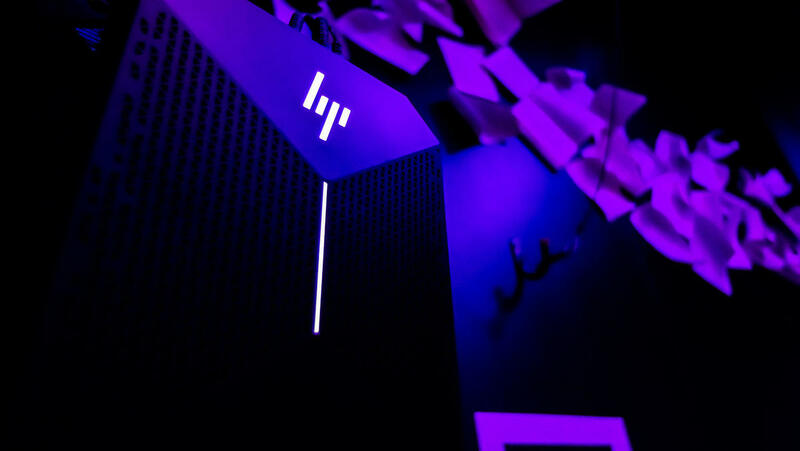 I want LBE to be the forefront of entertainment, making it the largest advancement in out-of-home entertainment that we have seen in a very long time. Form factor of immersion gear will decrease thereby allowing guests to have unlimited immersion in new worlds. We are at the precipice of the ultimate dream for total immersion. Ultimately, at Hyperspace XR we are looking to be the elite provider for location-based immersive experiences. We look to offer and develop the highest level of entertainment in the world, bringing magical moments of delight and imagination worldwide. Hyperspace XR has financial statements ending December 31 2017. Our cash in hand is $19,051, as of December 2018. Over the three months prior, revenues averaged $300/month, cost of goods sold has averaged $120/month, and operational expenses have averaged $14,633/month. We are creating the first open platform for large-scale walk-through VR experiences. Our first experience premiered at the Pacific Science Center in Seattle, still open today. Since opening, we've had over 5k guests through. We build the software to develop and operate, establishes the venue distribution channel, and sets the bar by creating the most immersive adventures on the market. Building upon our success at our first location, we're ready to scale with more venues and experiences. Hyperspace XR, LLC was incorporated in the State of Washington in June 2016. Our company was organized in June 2016 and has limited operations upon which prospective investors may base an evaluation of its performance. Assets. As of December 31, 2017, the Company had total assets of $543, including $543 in cash. As of December 31, 2016, the Company had $3,879 in total assets, including $3,879 in cash. Net Loss. The Company has had net losses of $16,336 and $16,121 for the fiscal years ended December 31, 2017 and December 31, 2016, respectively. Liabilities. The Company's liabilities totaled $10,000 for the fiscal year ended December 31, 2017 and $0 for the fiscal year ended December 31, 2016. Refer to Question 26 of this Form C for disclosure of all related party transactions. To-date, the company has been financed with $138,000 in convertible notes and $25,000 self-funded from founder. After the conclusion of this Offering, should we hit our minimum funding target, our projected runway is 3 months before we need to raise further capital. Hyperspace XR, LLC cash in hand is $19,051, as of December 31, 2018. Over the last three months, revenues have averaged $300/month, cost of goods sold has averaged $120/month, and operational expenses have averaged $14,633/month, for an average burn rate of $14,453 per month. Our intent is to be profitable in 12 months. Since the date of our financials we have raised a larger friends and family round and achieved revenue starting 11/9/18. We have launched ticket sales for an early access ticket at $15 as we continue to build toward our full experience. We expect our revenues will grow as we tighten operations and increase throughput as we also increase the number of open hours of our first experience at the Pacific Science Center thereby increasing revenue. We expect revenues will also increase as we achieve the full 30 minute story to a $30 ticket price in the next 3-6 months. Additionally we are in a number of discussions about installing scenes 1 and 2 at other venue locations where we will see a 50% revenue share at these locations. Our goal is 3 additional Hyperspace locations in 2019. 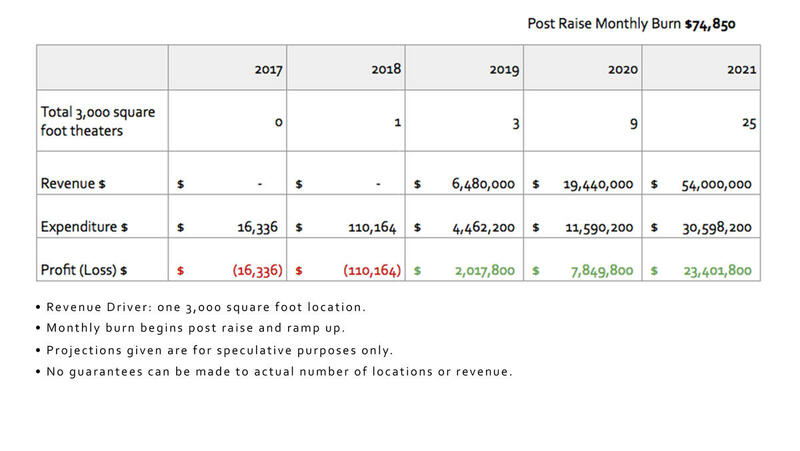 Six months after the raise, we expect (although cannot guarantee) that revenues will be at about $40k per month and expenses at $70k. Finally, we are evaluating a number of paid development contracts of which we plan to launch 1-2 in 2019. The above revenue streams constitute the additional sources of capital on which we will rely in the coming months. Should we not have enough revenue from those to survive, we will seek additional forms of capital. We set our maximum raise at $1,070,000. If we can achieve this raise it will allow us a full 12 months of runway as we achieve the above objectives. Our expenses will evolve as we systematically bring team members on full time. These will be on an as needed basis as we grow. The Company is in a growing market with existing competition. The Company feels they have a unique competitive advantage in their business model. There is always a risk in a startup that other competitors have unique positions to enter a market. The selection of an appropriate pricing, marketing, or distribution strategy is a potential risk for entering a new market. All efforts are being made to appropriately enter the market and gain traction. The Company is entering a market where discretionary funds are used for entertainment purposes. No guarantees can be made to market stability due to political or economic factors. The Company currently utilizes part-time employees who have indicated the desire to move forward on a full time basis when the Company is able. Until employees are hired full time there remains a risk that these employees will in-fact choose to move forward. In this exciting industry the Company feels the risk is low for finding appropriate talent to help execute their goals. This is an LLC with no issued units. Hyperspace XR is conducting a Regulation Crowdfunding offering via Wefunder Portal LLC. CRD Number: #283503. Love the real-world interaction. Recommend 10/10! Hyperspace XR is on the cutting-edge of multiplayer VR experiences, with a product to prove it. Being a long-time fan of multiplayer games online, as I watch their vision come to life I can see where this is going, and it’s big. I took three of my children, ages 13, 15, and 20 - they were all blown away. This is something to get involved in. The beginning of a new era of VR experiences. One of the most surreal things I have ever done. This takes VR to a whole new level of immersion. Lose the controls, and take an adventure. ...it felt like I was experiencing the future. Like what you see in tv shows, but in real life. Loved it and can't wait to try it again! The best VR experience in Seattle. This is the future of storytelling. The future is here and it's called Hyperspace! The cat was so realistic, I bonded with it. When it turned out to be an illusion, I fell into a deep depression. I named it Vulgar Timothy. He seemed to understand me. This is the future of gaming and an amazing experience. Email me, I will invest! Hello Jeff. Love your work. I'm a graphic designer, I specialize in branding, t-shirts, infographics, and collateral. Let me know if you need any pro bono marketing graphics help :) I can't wait to visit your venue! I am an average guy that thinks Hyperspae XR sounds like a good place to start my investment portfolio. I don't have a lot to offer, but I'm excited to see where this company goes using what I give. A shout out to Gabe McDermott for introducing me to this company. If you ever find yourself in Seattle sometime soon, you ought to take time to visit the Pacific Science Center. It's got a lot of VR and AR exhibits right now, not least of which is the beta for Wonderfall: Tale of Two Realms. Wonderfall is currently the main project for the Science Center's startup-in-residence, Hyperspace XR. "Coolest thing I've ever seen!" Hyperspace XR is expanding its extended reality experience now showing at Pacific Science Center. Virtual reality, augmented reality…and now extended reality is taking our guests to places they’ve never been. Spotlight on Hyperspace - Page 13. Please click to launch this digital edition. In recent months, Pacific Science Center has been focused on what we call our What Is Reality effort...a new set of experiences that highlight immersive technologies...that's virtual reality, augmented reality, and so on. We've teamed up with local startups, scientists, artists, and others to act as an incubator for these emerging, amazing technologies. Rad gets a reality check and finds out what "Extended Reality" actually is in her visit to the Pacific Science Centre in Seattle! -- MORE GGSP -- See it first on the ABC ME App! The world's first summit on VR in VR. A conference in Virtual Reality for artists, designers, filmmakers and VR enthusiasts to collaborate with pioneers in VR. Seattle, WA, USA - See the full schedule of events happening Oct 8 - 12, 2018 and explore the directory of Speaker &amp; Attendees. Major developments rock the Digital Out-of-Home Entertainment (DOE) scene as Microsoft and its partners move towards entering the Location-Based Entertainment (LBE) sector. In a momentous business gathering of industry leaders in California; new developments, initiatives, and some revealing observations on the scope of the commercial entertainment scene are reported in a two-part feature by Kevin Williams for VRFocus. Flimsy 3D movie glasses are a thing of the past. Today, virtual reality users can do everything from attend meetings to go on tours of foreign countries, all from the comfort of their living rooms. A number of Seattle companies are pushing the boundaries of virtual and augmented reality to the limit as global leaders turn to VR to innovate, educate and build new experiences. "What we're working on here at the Science Center is more than your at-home virtual reality (VR) experience. 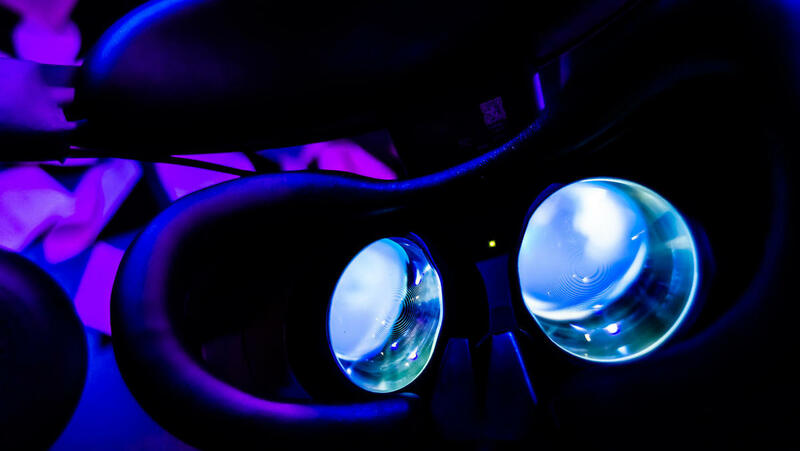 It's taking it a step further with what we call, "extended reality" or XR," Jeff Ludwyck, CEO and Creative Director of the local startup Hyperspace explains.